T.D.C: For Keeps | New Online Store + Giveaway! For Keeps | New Online Store + Giveaway! For Keeps is a lovely new online store, founded by Catie Wilkinson. Living in the New Zealand city of Hamilton, Catie has a background in marketing and communications, which has led to us crossing paths several times before. It was such a nice surprise to learn that Catie had set up a new store, as this has in fact been a dream of hers for a very long time. Inspired by her travels (both around the world and online) and passionate about finding cool things for her home and friends, For Keeps provides the perfect place for Catie to share her finds with others. 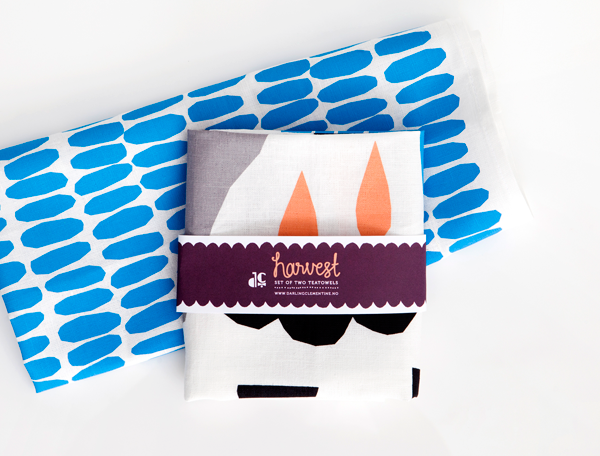 Offering a gorgeous collection of homeware, stationery, gifts, art and art prints, these have been sourced from some of Catie's super creative and talented friends, as well as some amazing suppliers from around the world. 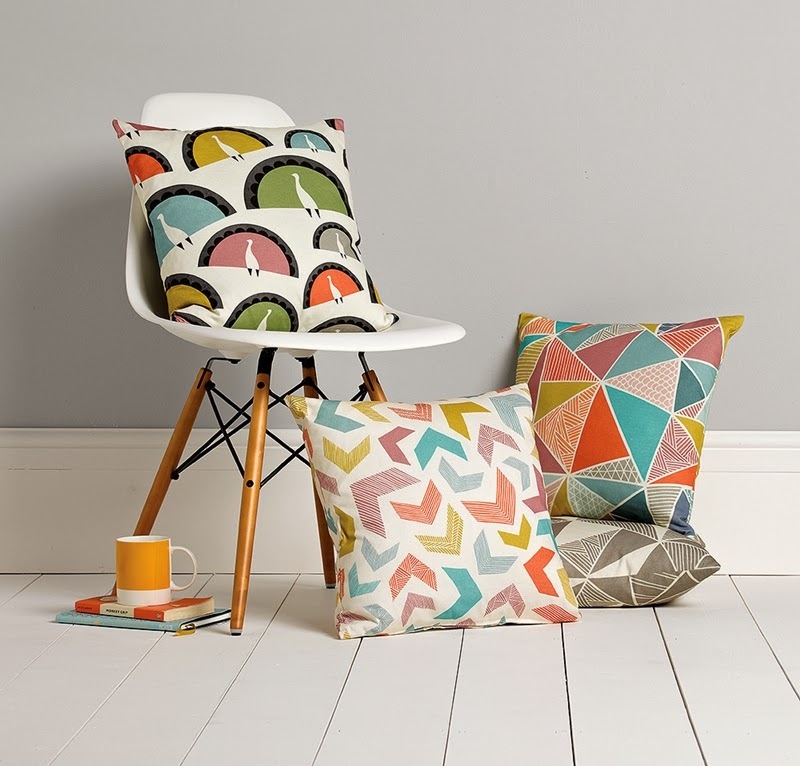 With beautiful textures and bright graphics, the colourful range of cushions and tea towels immediately caught my eye. In the stationery section you'll find a great range of cute cards like these. 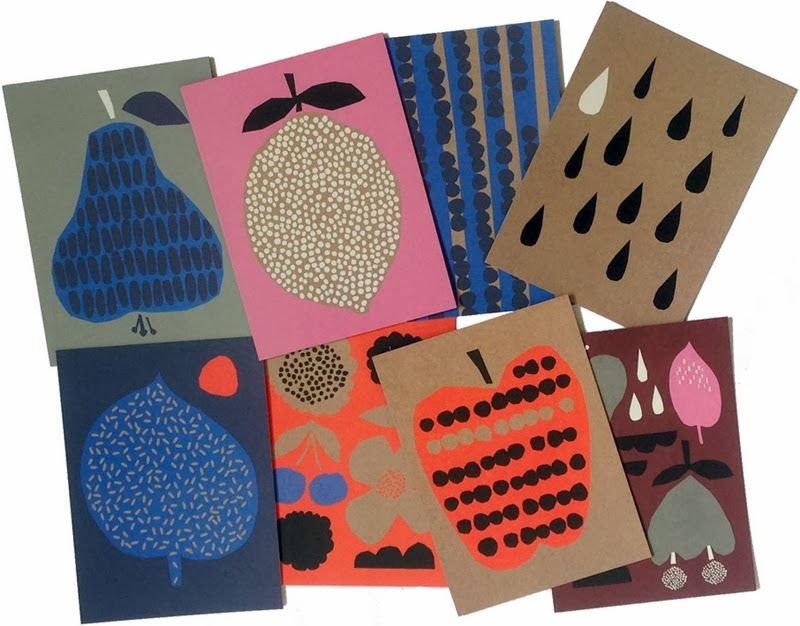 For Keeps also have a fabulous collection of art prints, and are very kindly giving away two Scandi-style prints by the Norwegian brand Darling Clementine. 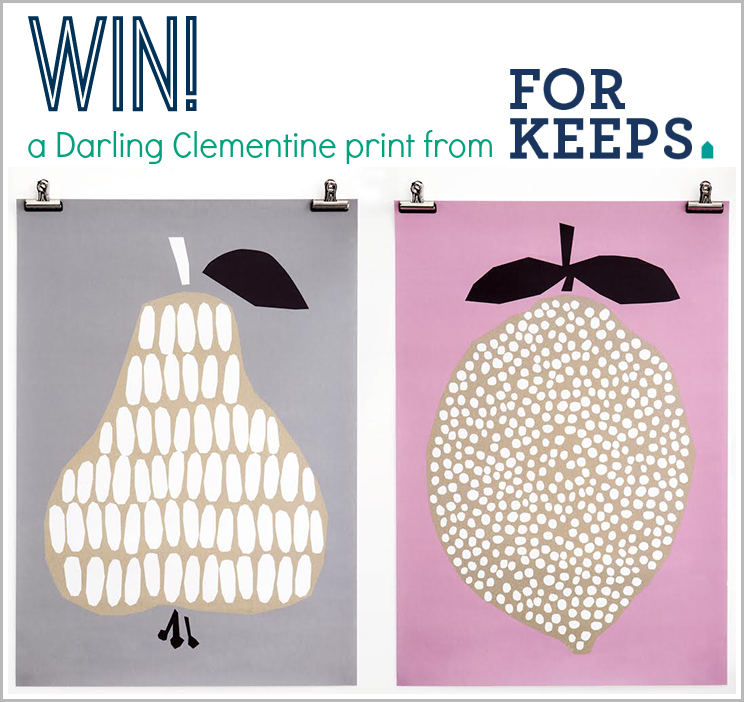 To enter to win either the Pear Print or the Lemon Print, firstly pop over to For Keeps and pick two of your favourite products. Email me at enter@thedesignchaser.com with either PEAR or LEMON in the subject line (the one you'd like to win) and tell me the names of your two favourite products. Please also let me know your full name. You have until Sunday, the 19th of January (12pm NZ time) to enter. The two winners will be chosen via random.org, and contacted via email on Monday 20th January and announced on the blog. Please note, this competition is open to New Zealand and Australian residents only. There are also some exciting new product lines on their way so make sure you like the For Keeps Facebook page to stay in the loop! Update: the competition has closed, and the winners have been notified. Congratulations to Candace Joiner who has won the Pear Print and Tiana Howe, who has won the Lemon Print! Thanks to everyone who entered and to For Keeps for this gorgeous giveaway. Jeepers, how to pick just two?! These are stunning! What a beautiful work! I would gladly purchase some of Catie's items for my own place or for a present. They are simply adorable!